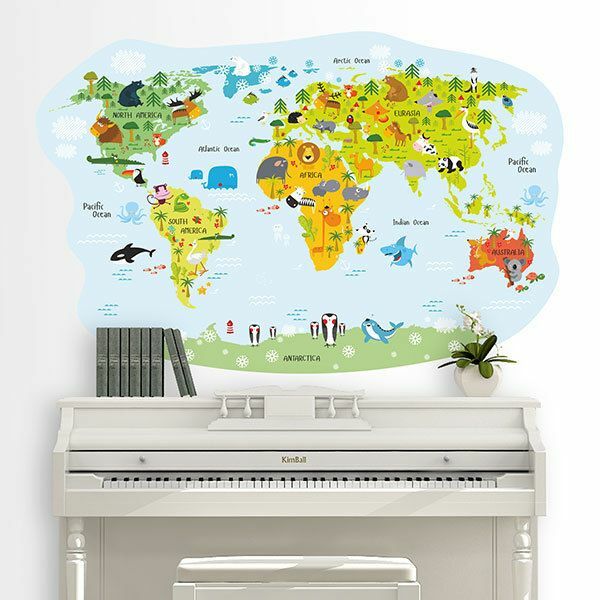 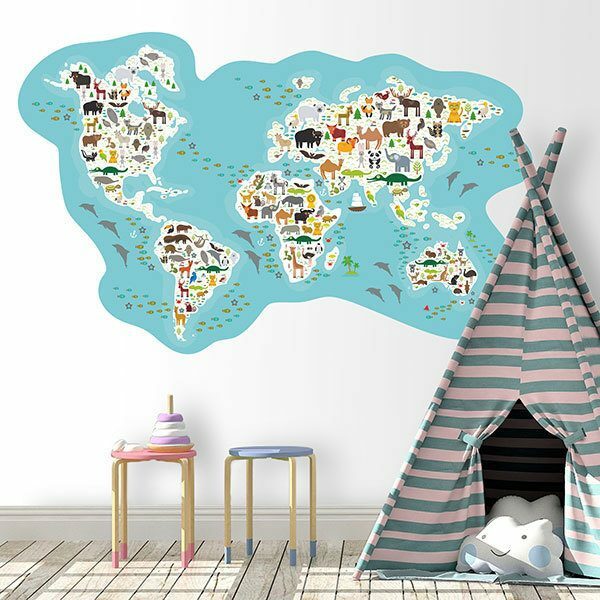 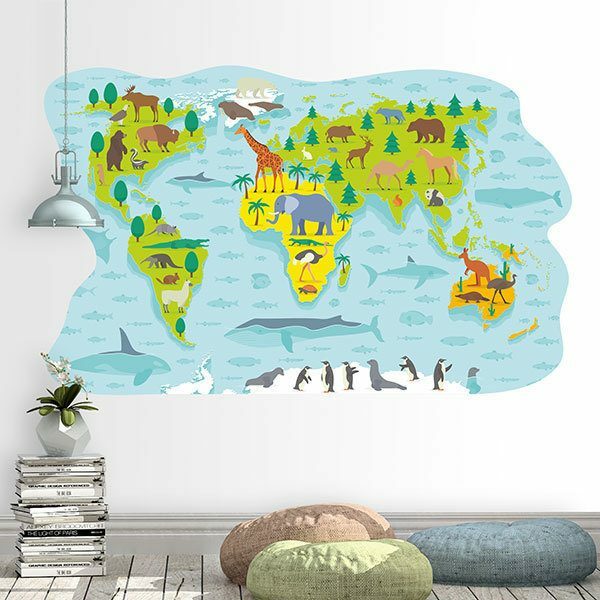 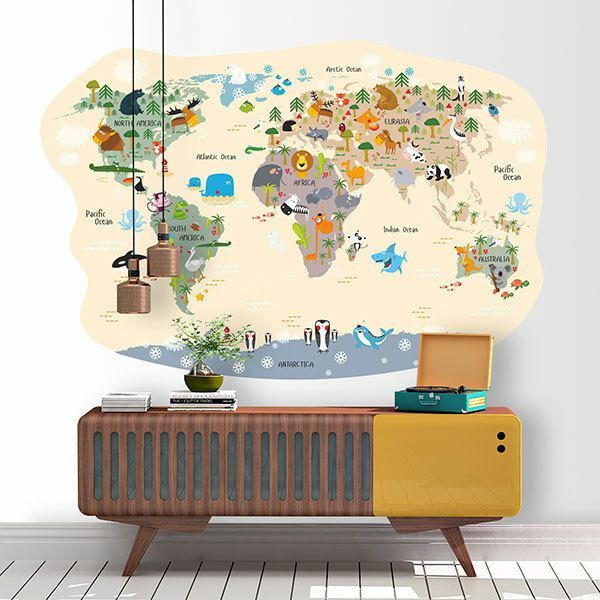 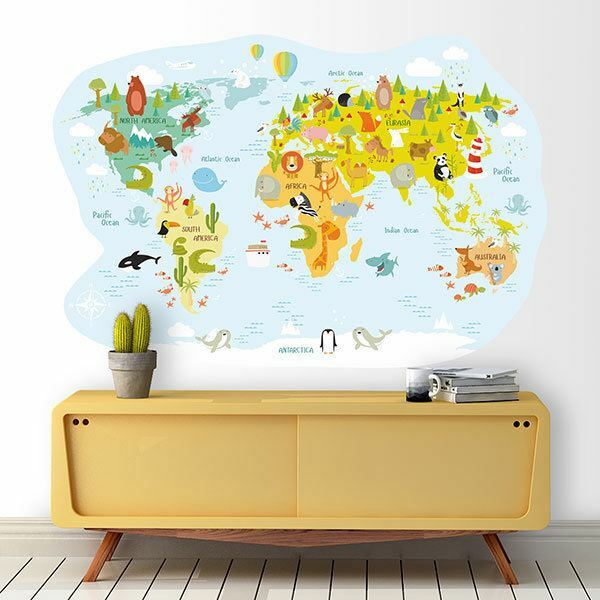 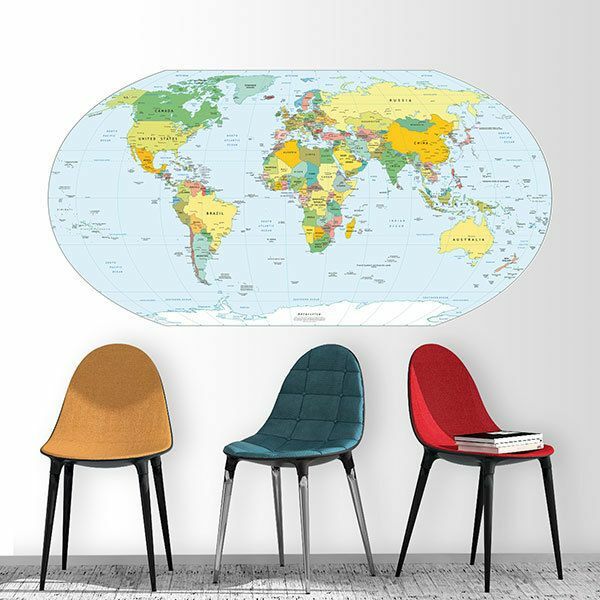 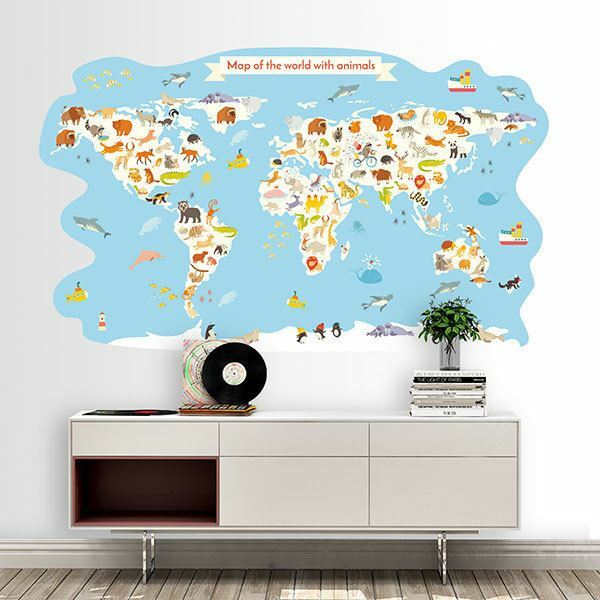 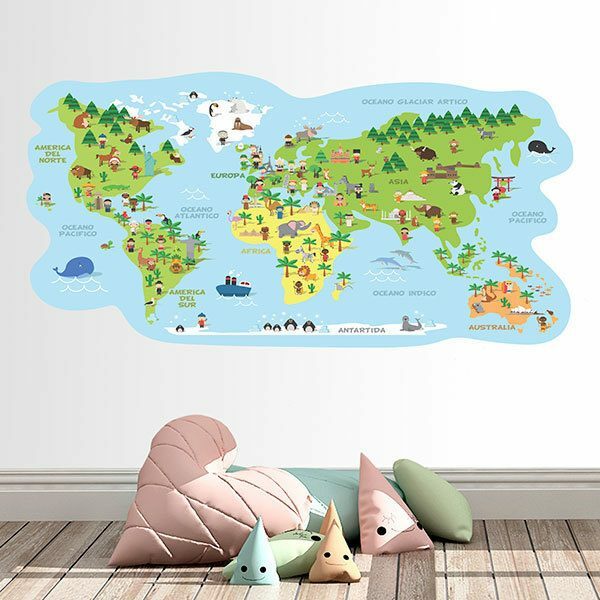 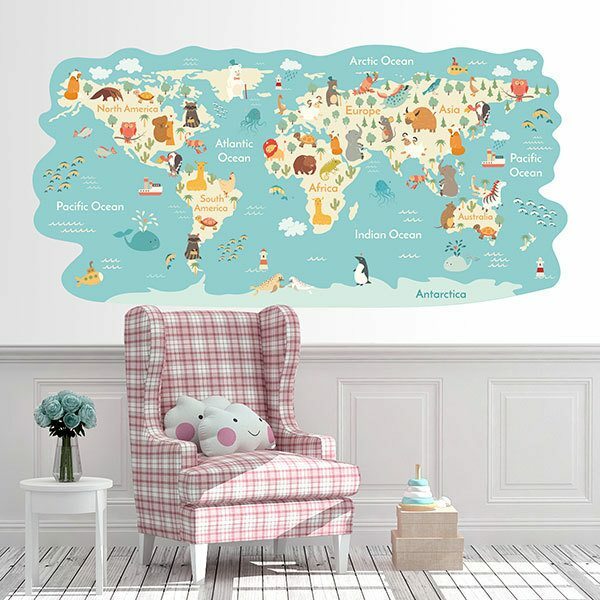 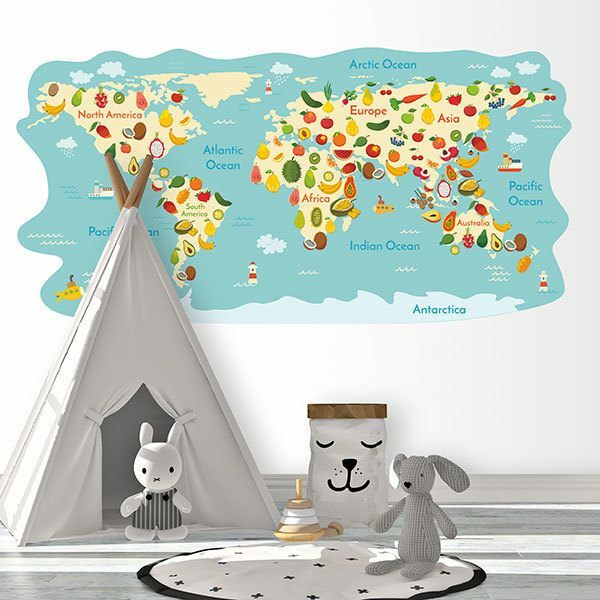 Explore among our fantastic Wall stickers Kids Worldmaps. 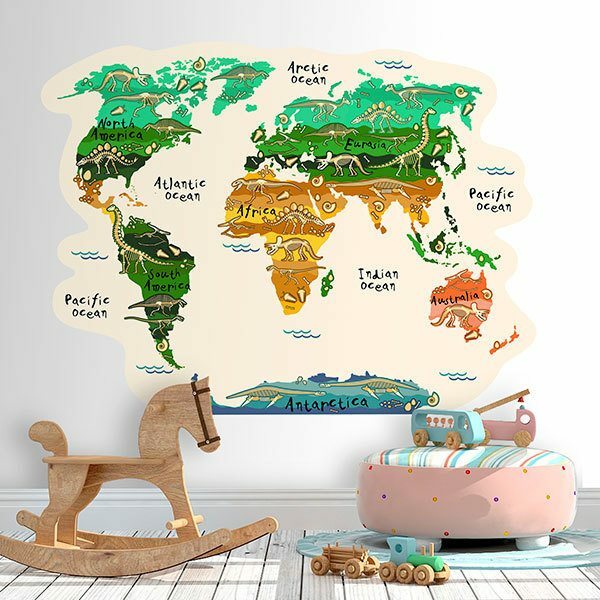 Here you will find a variety of designs for children, where you will awaken their interest in the world, continents and oceans, geography and animals native to every corner of the planet earth. 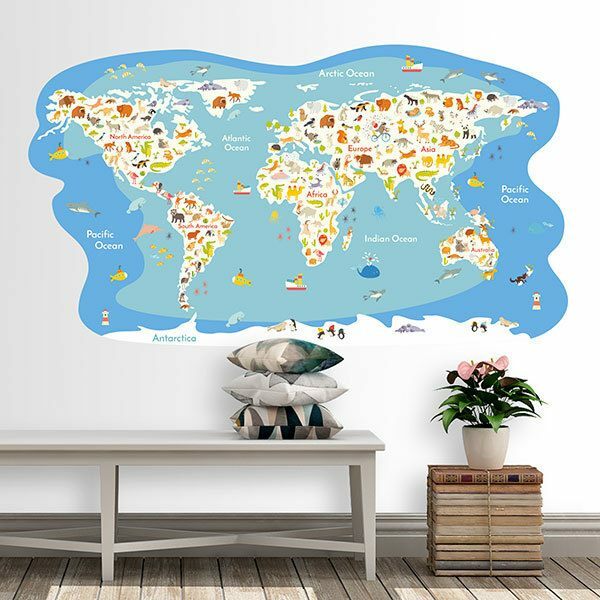 From designs with the typical costumes of each country, the most characteristic fruits or with the animals of each continent in different styles or colors. 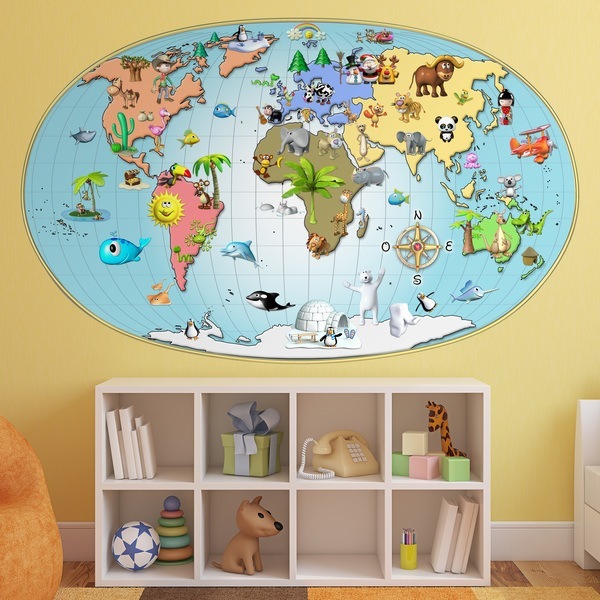 A fun way to decorate the children's room where they can learn a lot of information about the planet where we live.